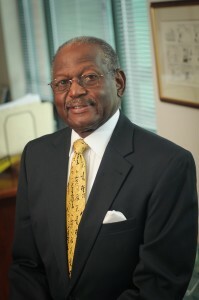 Theo C. Rodgers is Chairman and Chief Executive Officer of A&R. Mr. Rodgers co-founded the firm in 1977 and has guided its progress since its founding. Prior to founding A&R, Theo was Vice President of H.G. Parks, Inc., an East Coast meat processing firm located in Baltimore, MD. Theo’s professional experience includes project engineering positions at General Motors and Dow Corning corporations. Theo currently serves as a Johns Hopkins Health System Trustee, University of Maryland Baltimore Foundation Trustee, and Vice Chairman/Director Caves Valley Golf Club. He is also Trustee Emeritus on the Johns Hopkins Medicine, Johns Hopkins Hospital, and the Baltimore Community Foundation boards. Theo’s prior governance experience includes Director/Trustee T. Rowe Price Funds, Director Baltimore Bancorp, and Vice Chairman/Director Injured Workers Insurance Fund of Maryland. Theo has a B.S. in Mechanical Engineering from Tennessee State University and a MBA from the Harvard Business School. Marjorie Rodgers Cheshire is President and Chief Operating Officer of A&R. Prior to joining A&R, Marjorie spent many years in the media and sports industries. Her most recent position was as Senior Director of Brand & Consumer Marketing for the National Football League. Prior to that, Marjorie held positions as Vice President of Business Development for Oxygen Media, Director and Special Assistant to the Chairman & CEO of ESPN, and Manager of Strategic Marketing for ABC Daytime. Marjorie also worked as a consultant with The Boston Consulting Group, a strategic consulting firm serving Fortune 500 companies. Marjorie has a B.S. in Economics from the Wharton School of the University of Pennsylvania and a MBA from the Stanford University Graduate School of Business. 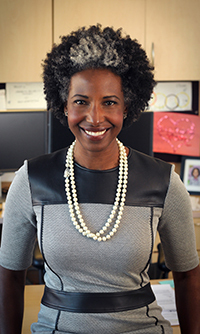 She is a Trustee of Baltimore Equitable Insurance, Baltimore School for the Arts, Johns Hopkins Bayview Medical Center, Johns Hopkins Hospital, and Director of PNC Financial Services Group.